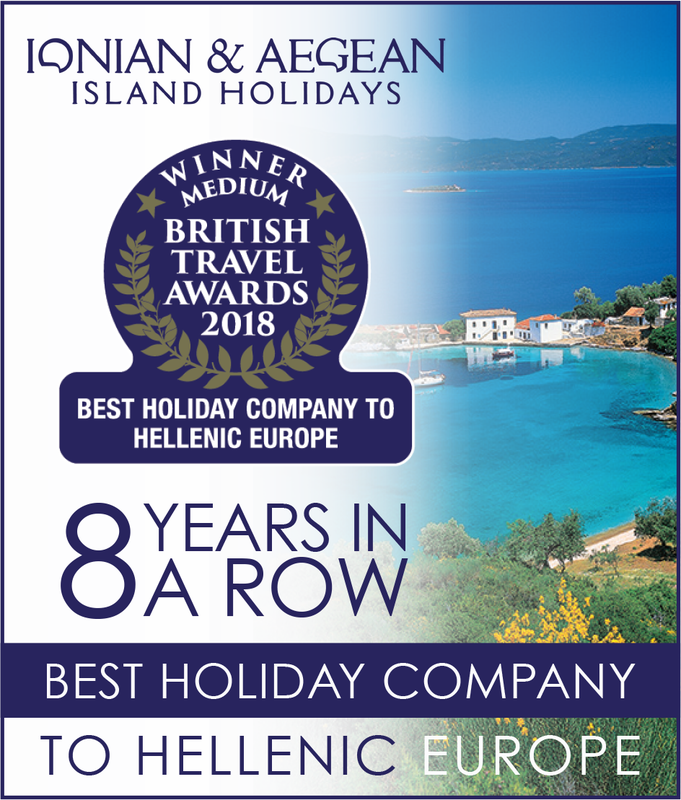 The small island of Meganisi has all the best attributes of the Ionian Islands but in microcosm: blue sea, green hills, deserted beaches, unspoilt villages and a unique peaceful character that once experienced is never forgotten. 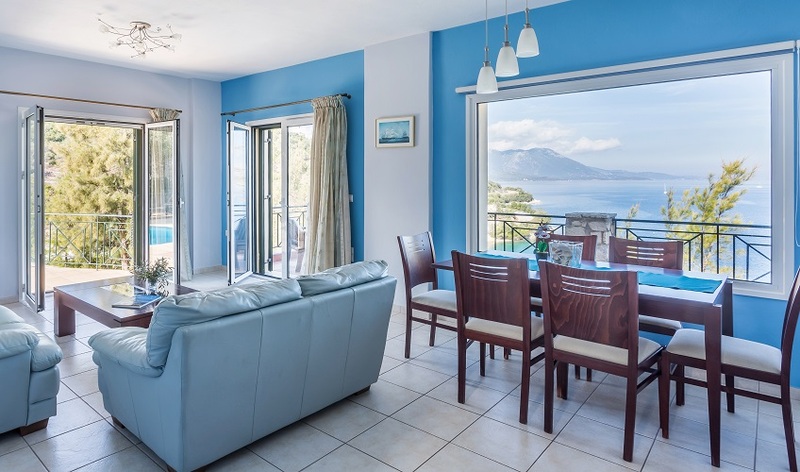 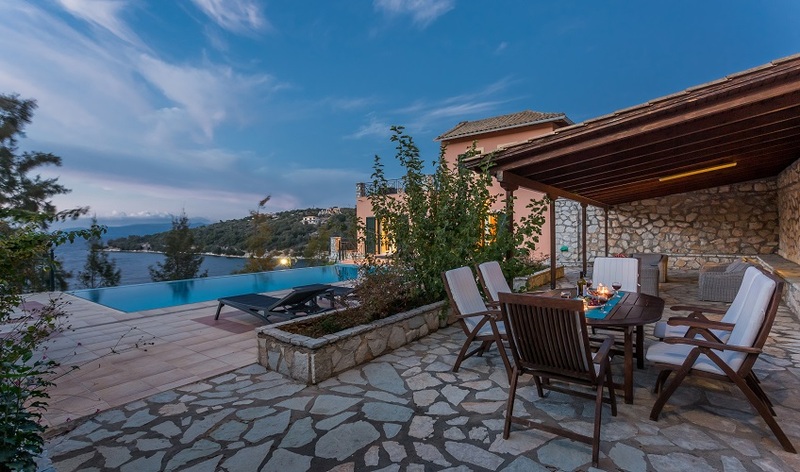 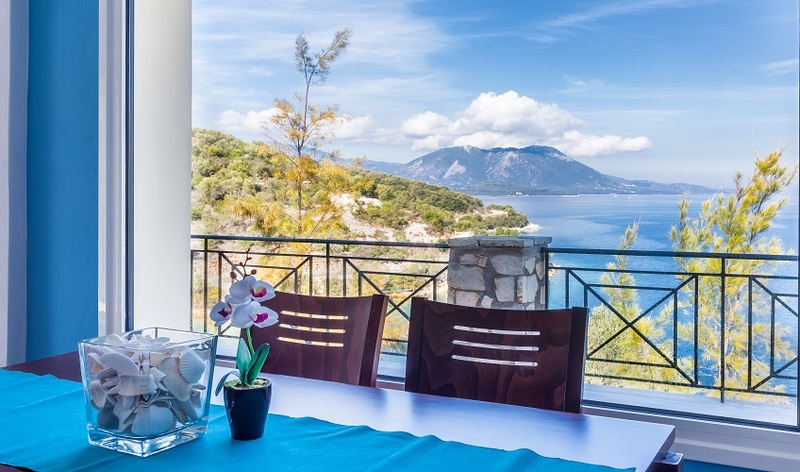 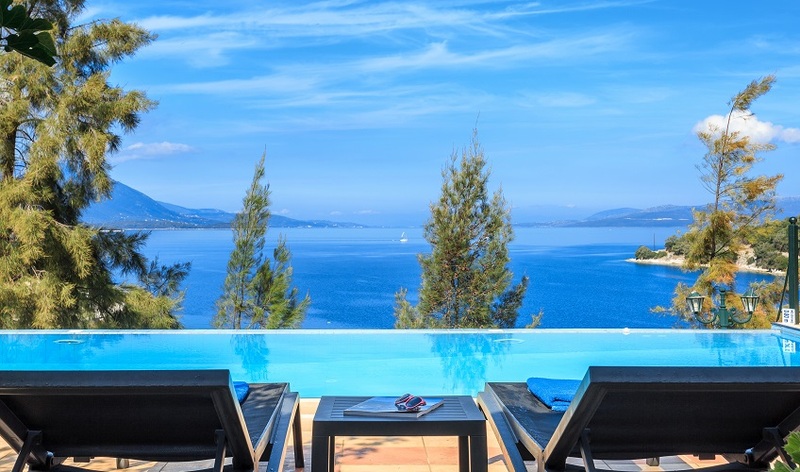 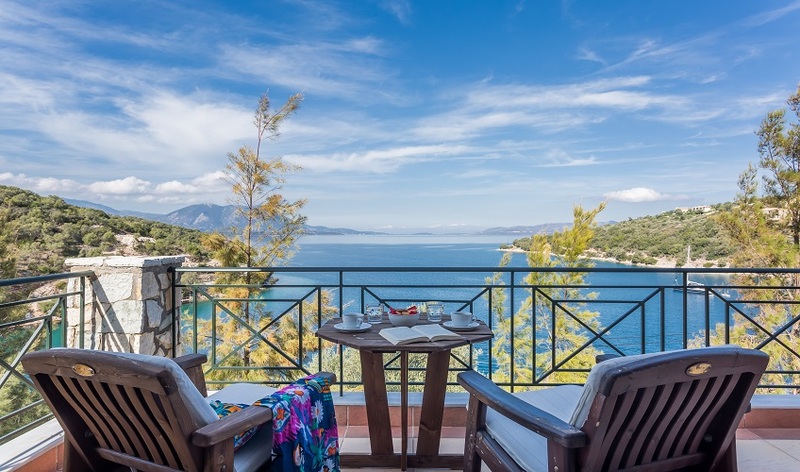 The Villa Angeliki, overlooking the picturesque harbour of Vathi although only recently built combines all these qualities. 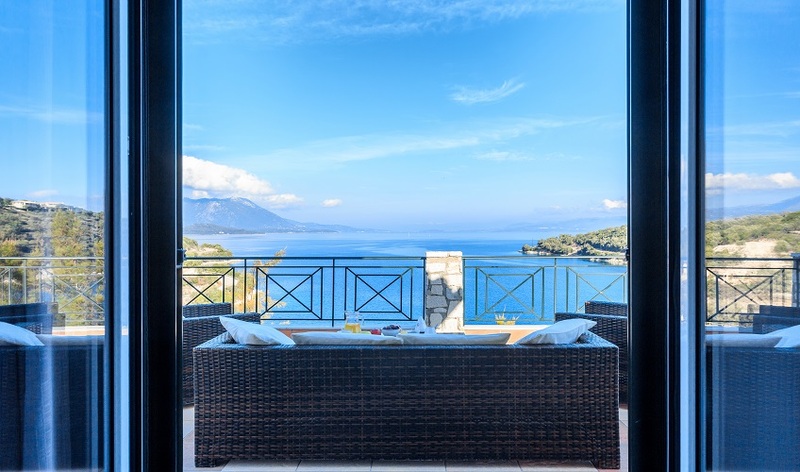 Situated on the side of a hill within its own grounds of limestone terraces planted with native shrubs, the villa’s interior accommodation complements its wonderful location. 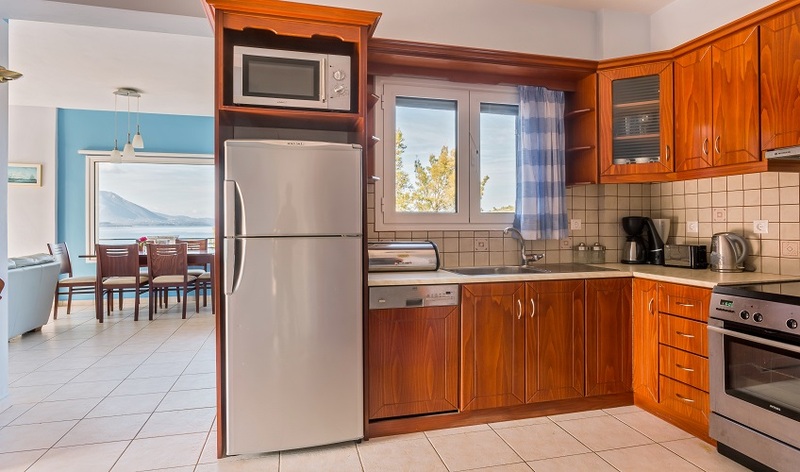 This is open plan holiday living Meganisi style. 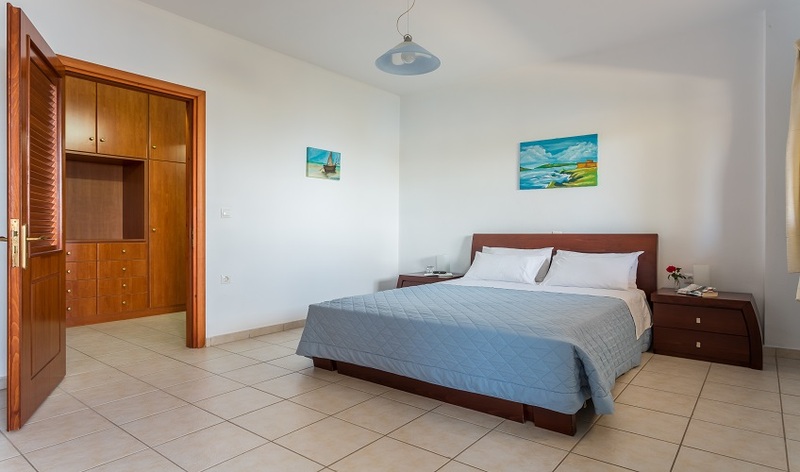 There are three bedrooms, two doubles and one twin bedded room. 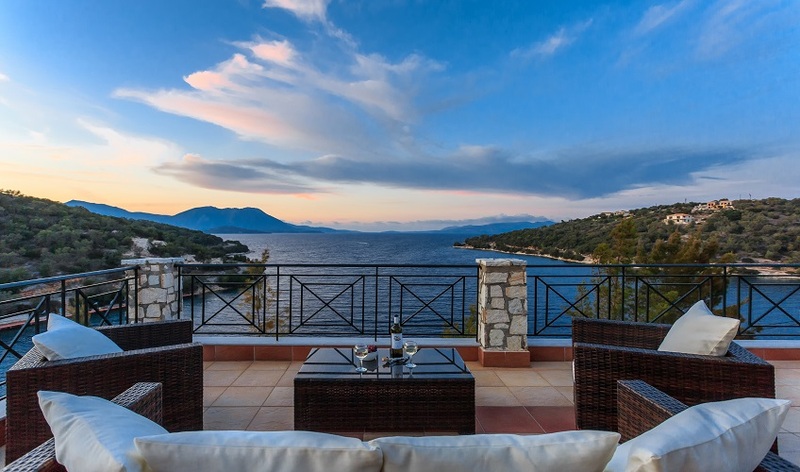 Each has its own terrace/balcony facing the harbour and the mountains beyond. 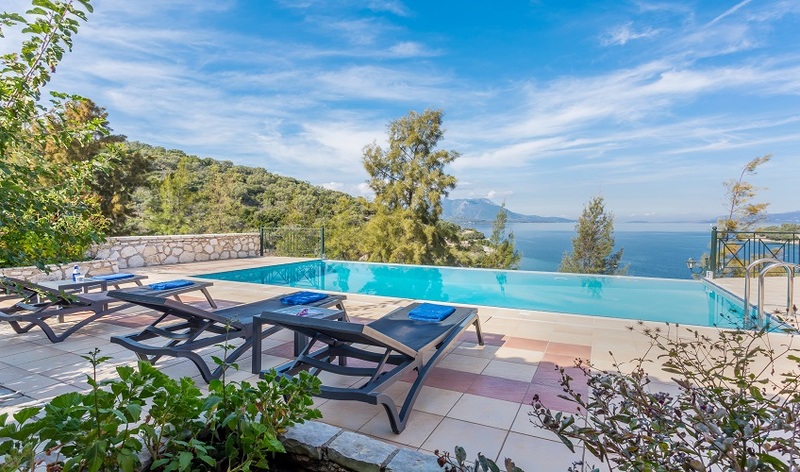 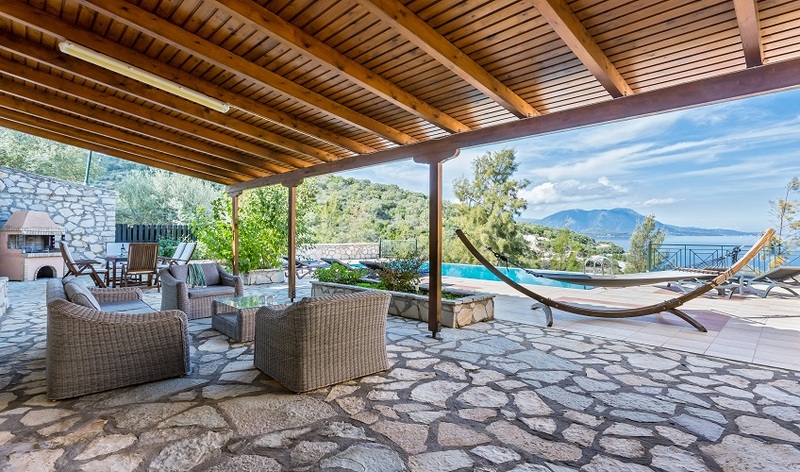 Outside there is a large terrace with infinity pool, barbecue and shaded seating area with plenty of room for relaxing pool-side on sun loungers. 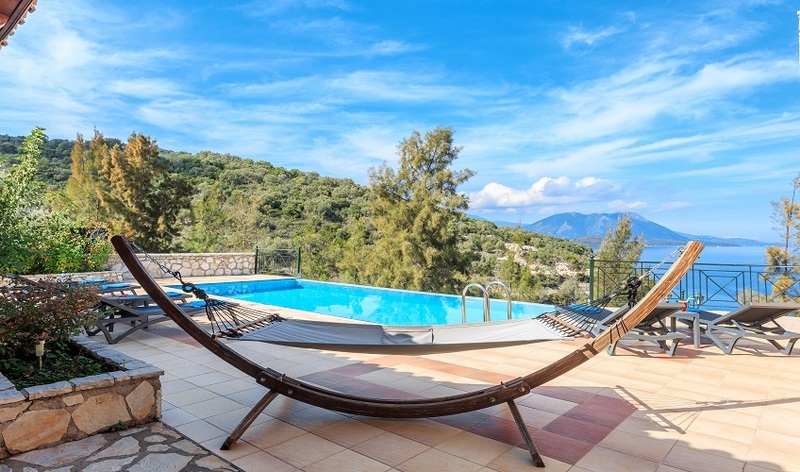 Should gentle exercise be the order of the day, the traditional harbour and village of Vathi with its shops and tavernas is a mere 200 metres stroll down the hill. 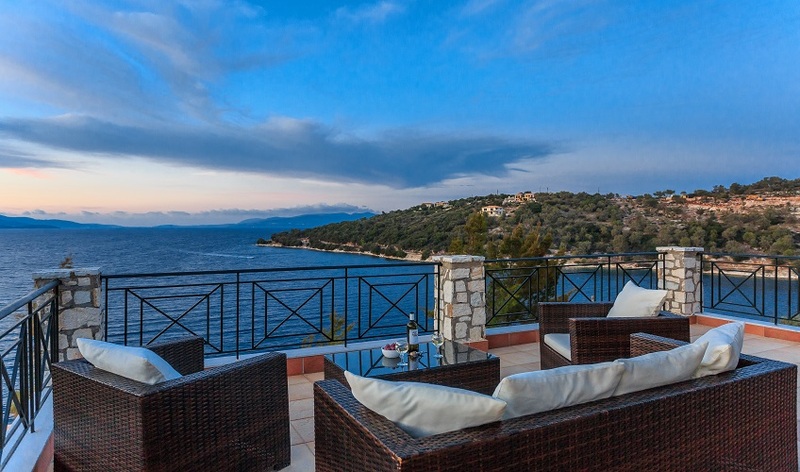 Quiet roads, lanes and footpaths crisscross the island, making exploration either on foot or by car to secluded coves, rugged cliffs and cool olive groves extremely easy. 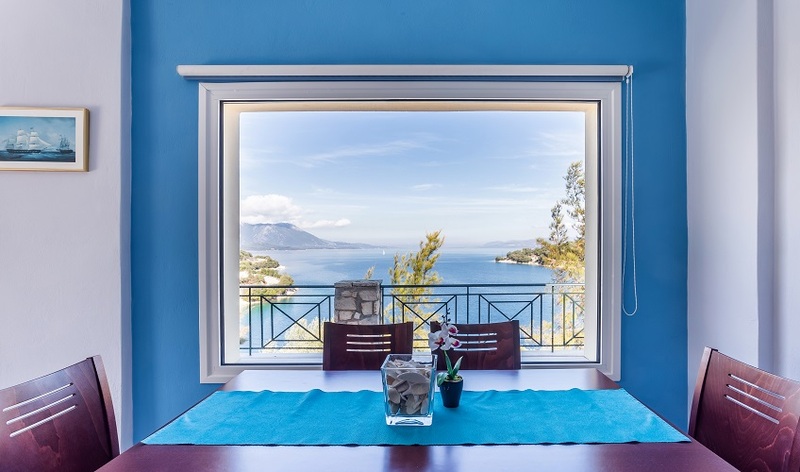 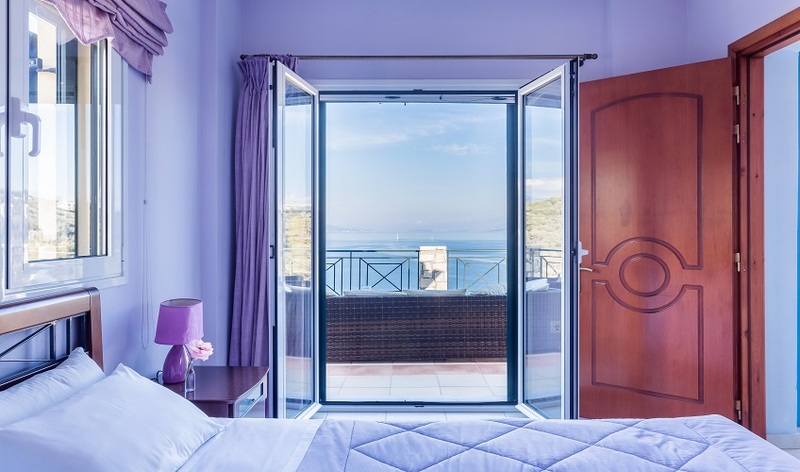 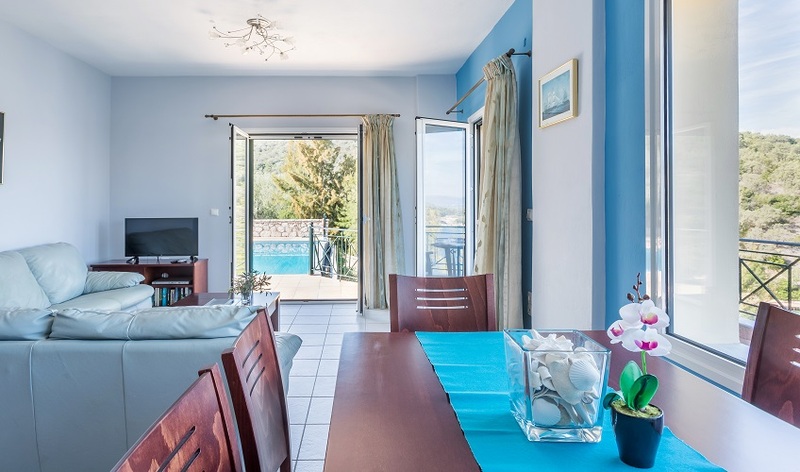 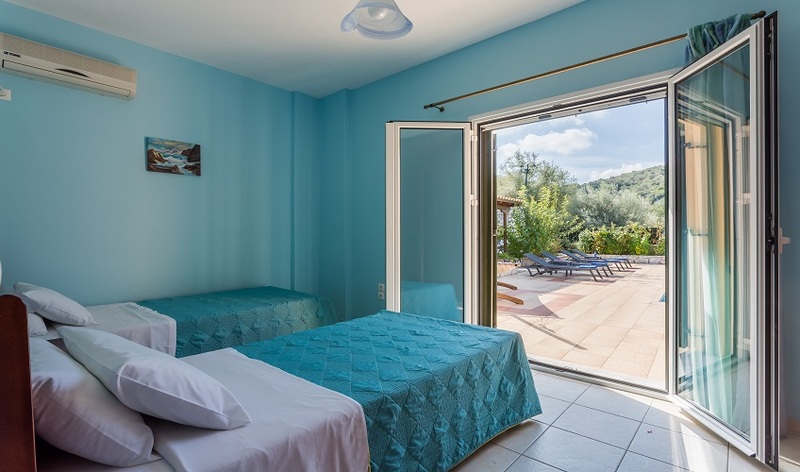 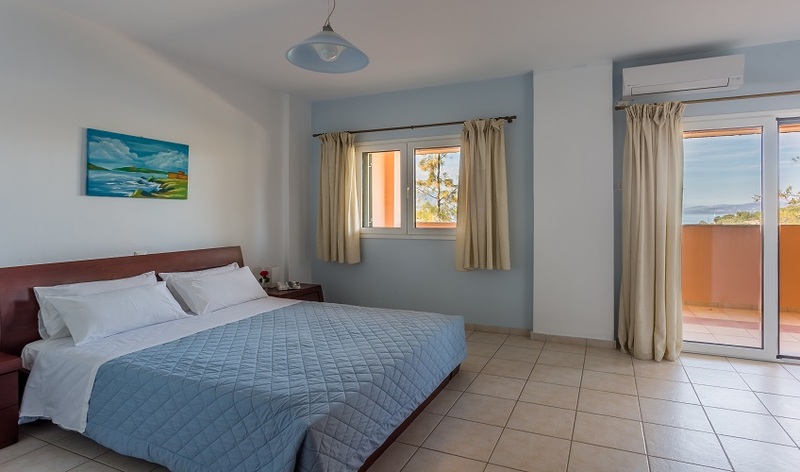 Meganisi is made for wandering, getting lost here is a real pleasure, particularly as your path or country lane will invariably take you back to Vathi, the quiet hub of this fascinating island and the delightful Villa Angeliki.